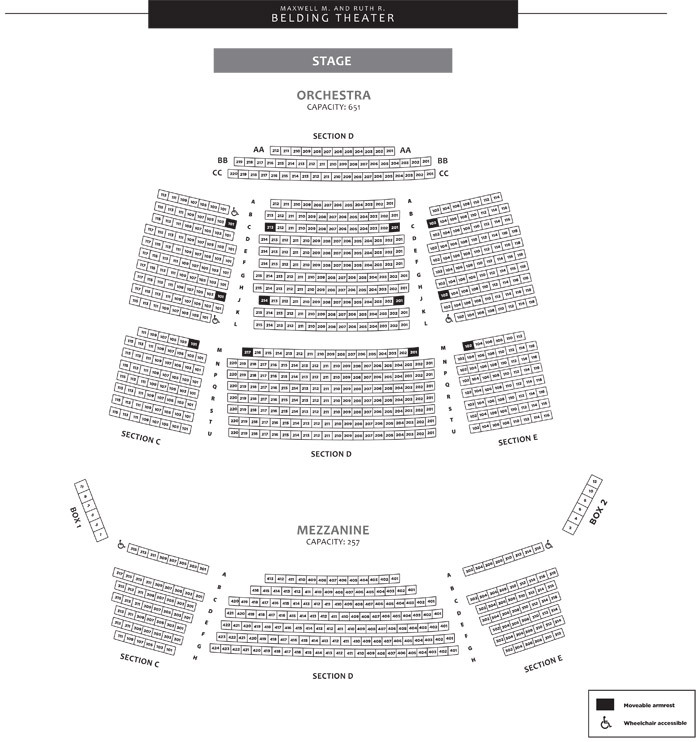 Please see the seating charts below for the William H. Mortensen Hall and the Maxwell M. and Ruth R. Belding Theater. Both theaters offer accessible wheelchair seating. Low-vision / deaf zones and folding armrest seats are also available. 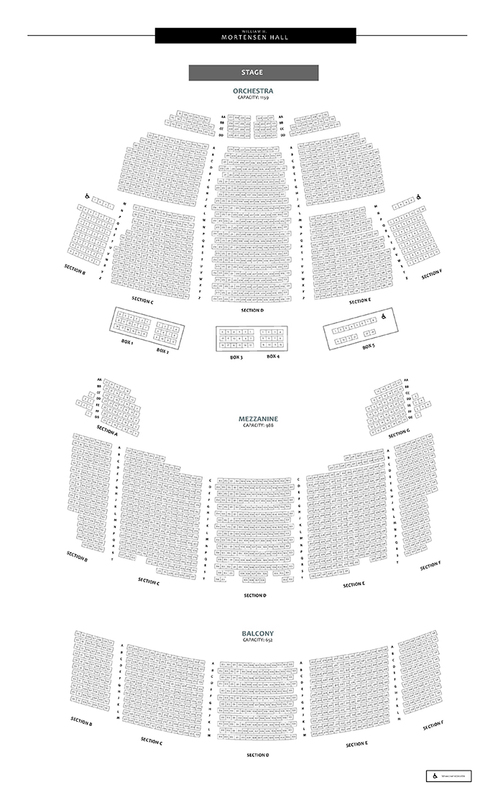 Click here to download a larger PDF of the seating chart.